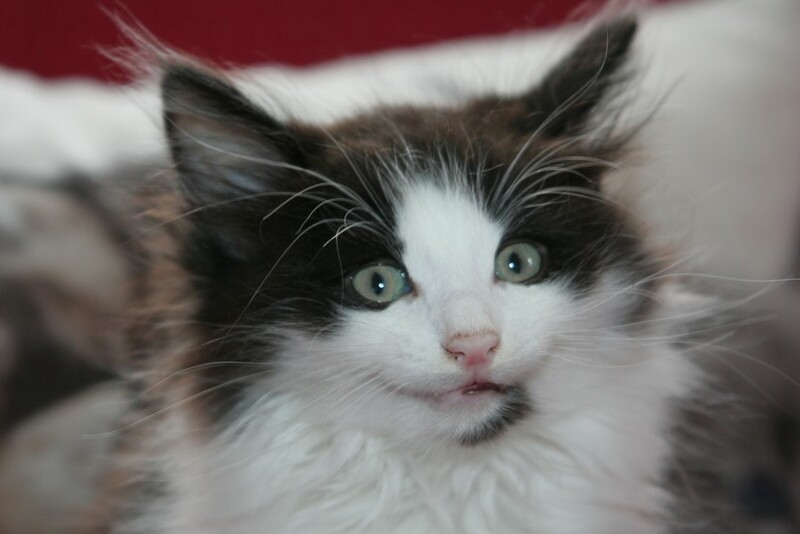 12/6/16 - Luke's mum says that his new young owner is pondering over the name of 'Oscar' for this kitten, but it may change! 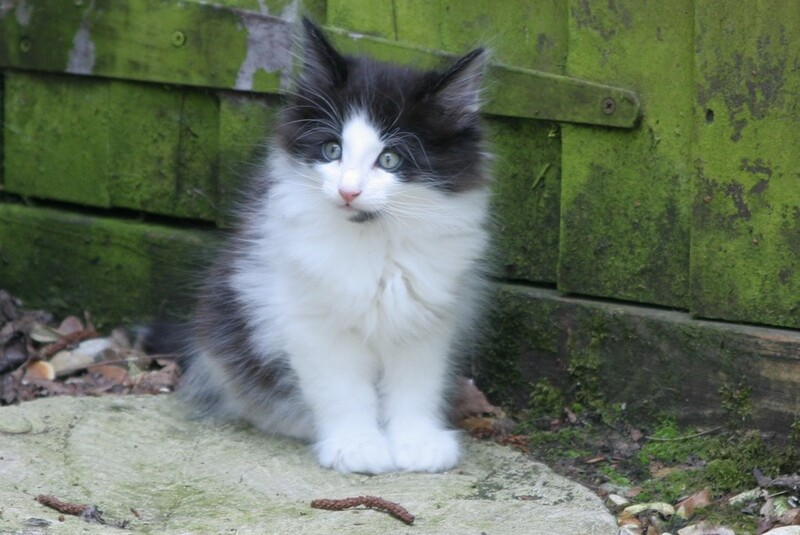 We had a kitten renamed Oscar in 2014 so it must be a fitting name for a NFC. 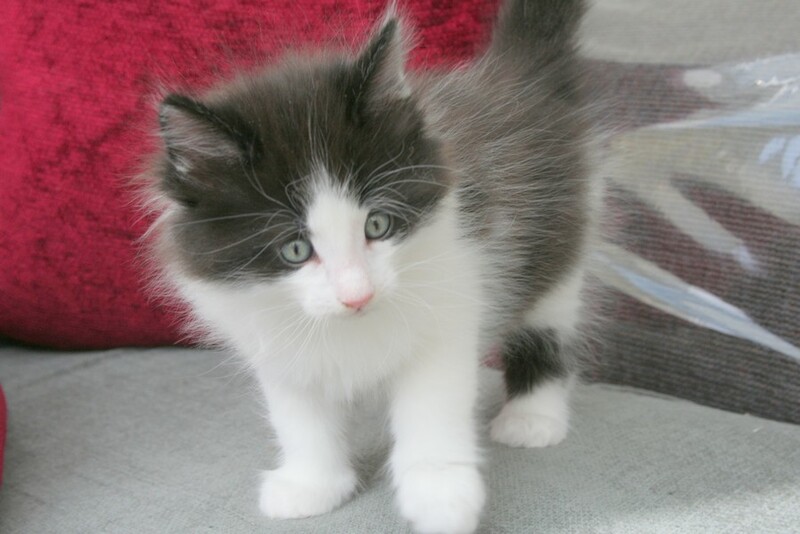 15/5/16 - This lucky little kitten will belong to Master Luke Gray (and sister Ayla and his human Mum and Dad) and be living in Essex. 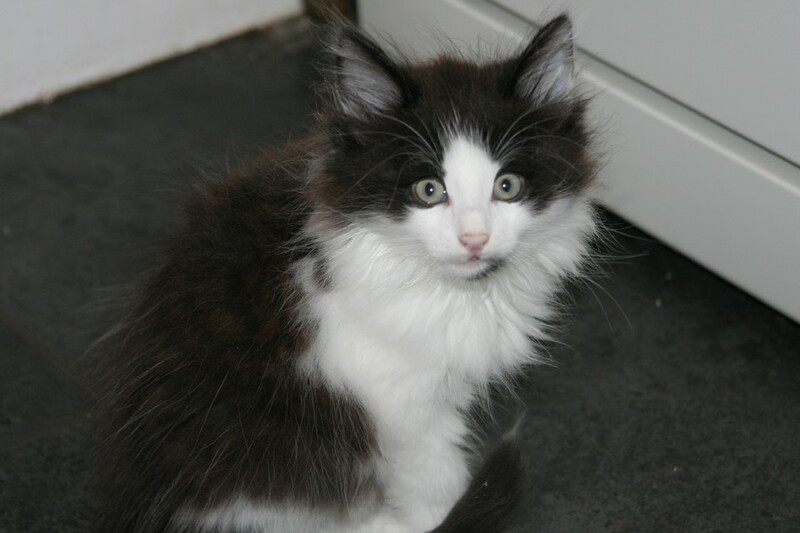 During Luke's visit, he expressly asked me to tell everyone this kitten was now sold, which I am duly doing! 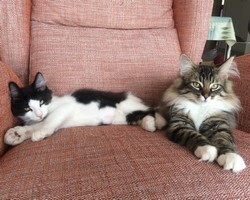 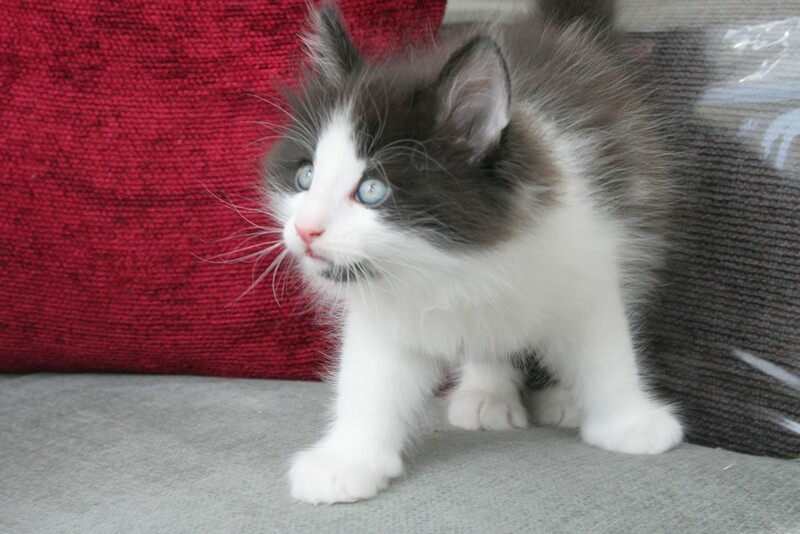 He will be living with 'Little Astrid's' kitten Sola. 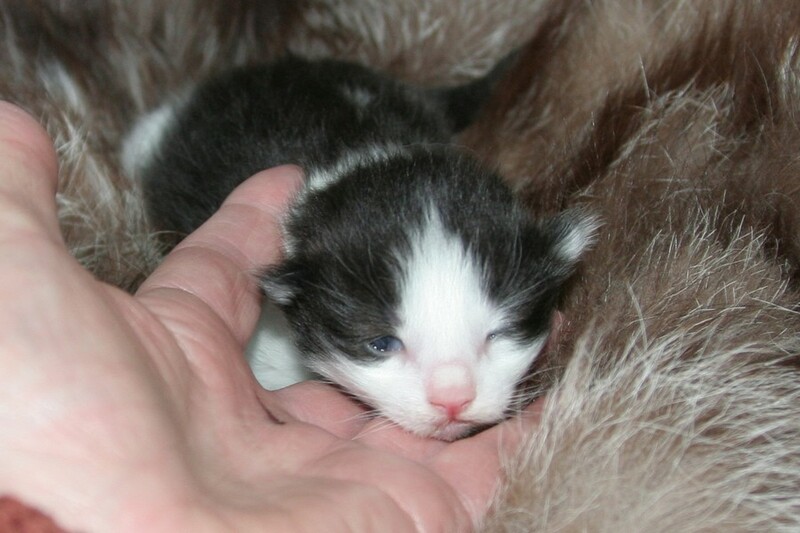 1/5/16 - The first to open his eyes. 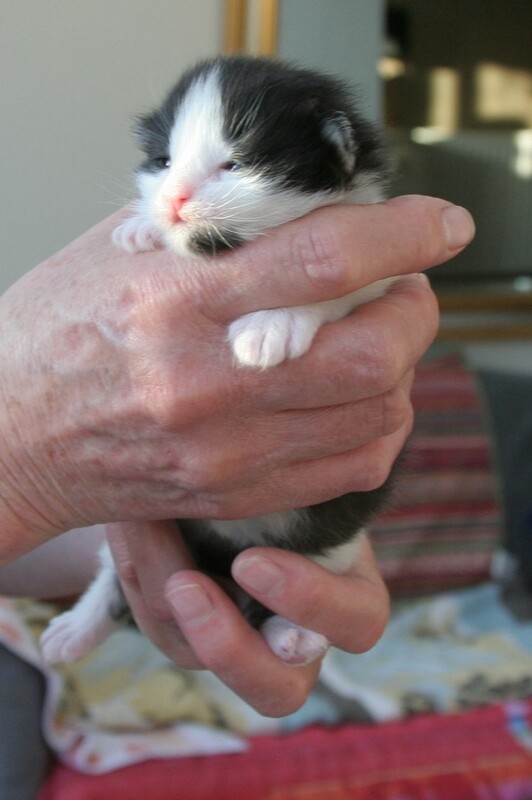 Now 3 weeks old and very mobile, he likes to escape the pen, he shares with the rest of the feline family. 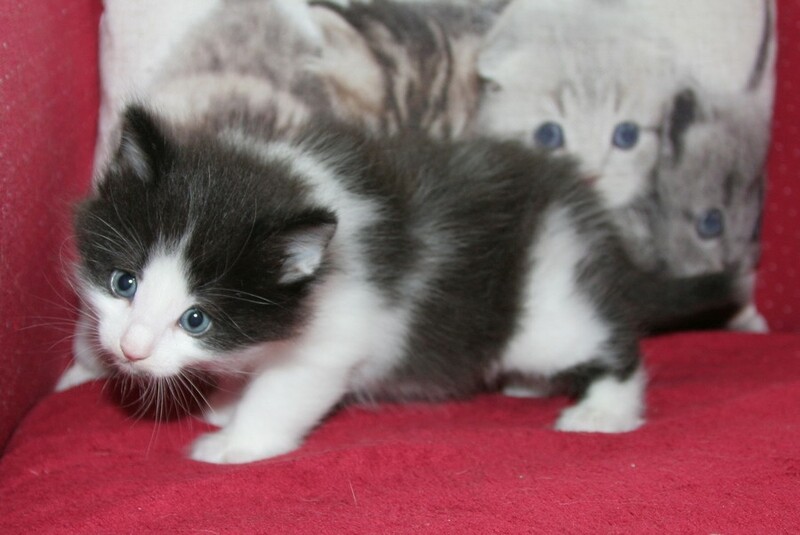 Very vocal and squeaks when you pick him up and the mothers come running, but it is all a bit of a show! 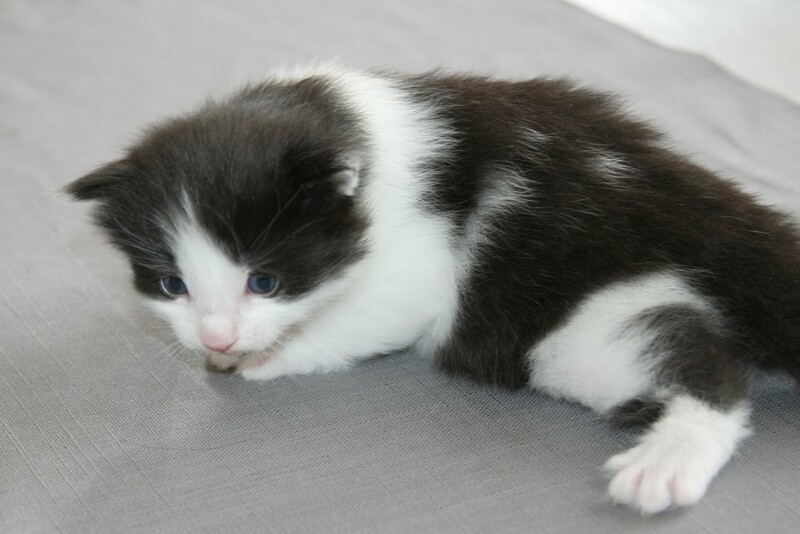 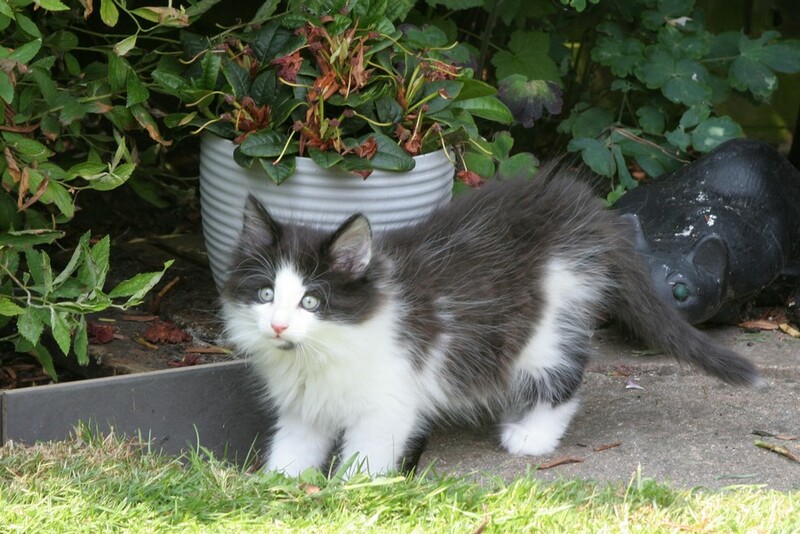 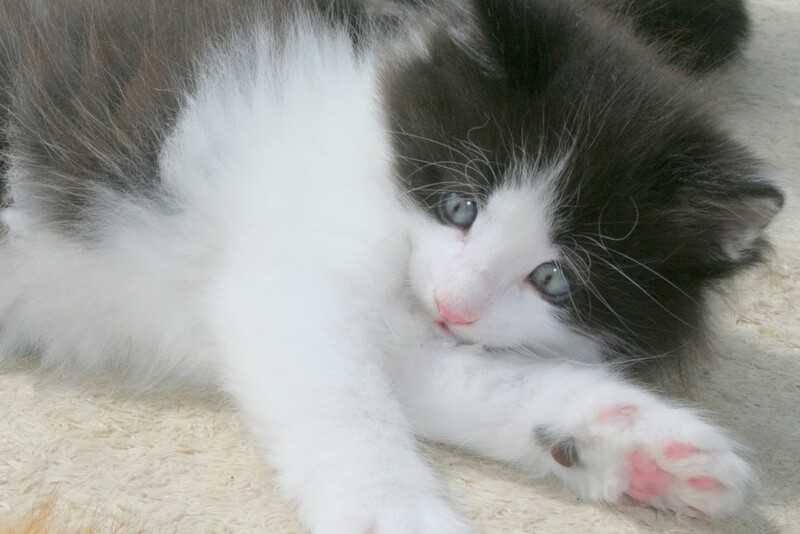 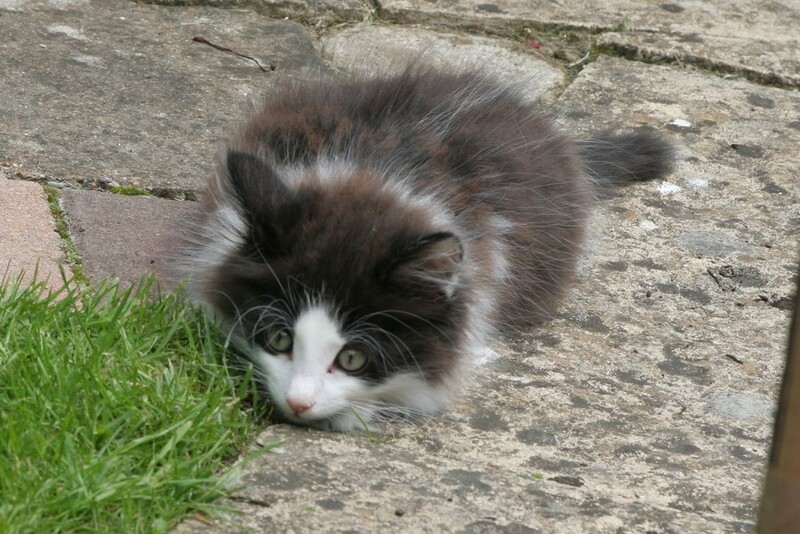 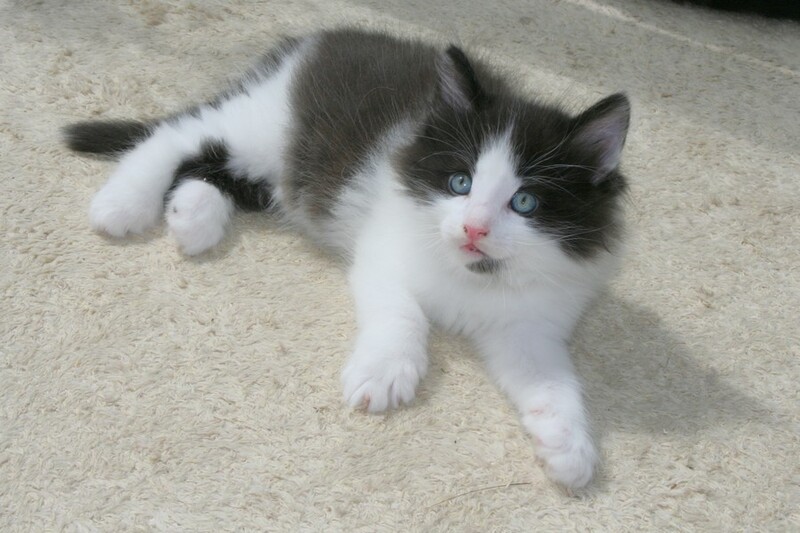 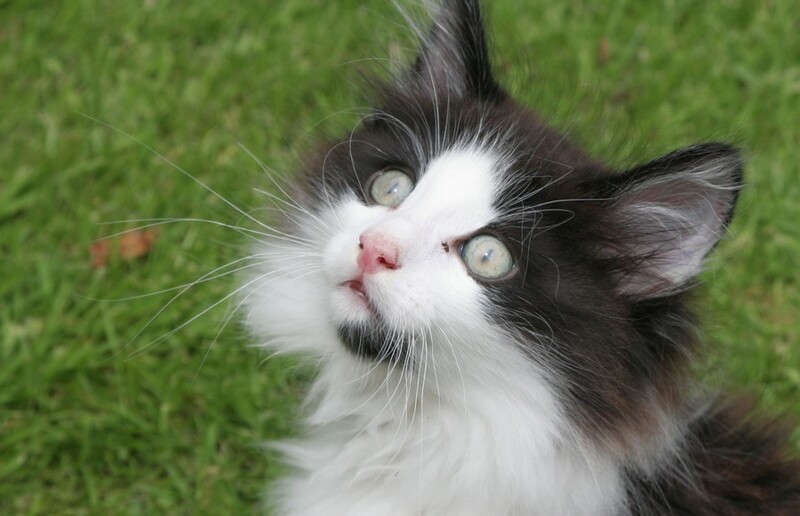 His coat is defining and he has unusual markings, which will be very nice as he grows up, especially on his face.